2. 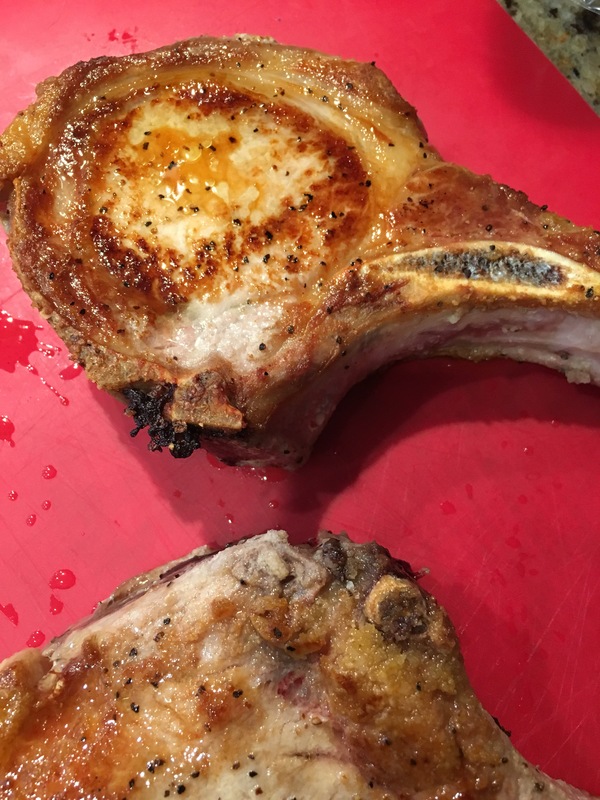 Salt and Pepper some bone in thick cut pork chops. 3. Coat them with olive oil. 4. Put in the pan and cook on first side for about 12 minutes. 5. Turn over and cook until internal temperature reaches 150. Take out and let rest at least 10 minutes. It will continue to cook (carry over cooking) until close to 160. It will be super safe to eat! Super moist and juicy.